Wedding well wishes box. Solid cherry, raised panel door and side panels, red velvet lined. 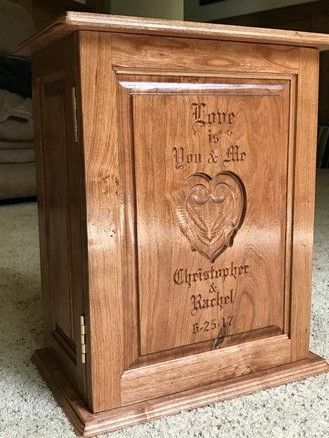 Utilized CNC machine to create intertwined hearts, carve names and couples sentiments. 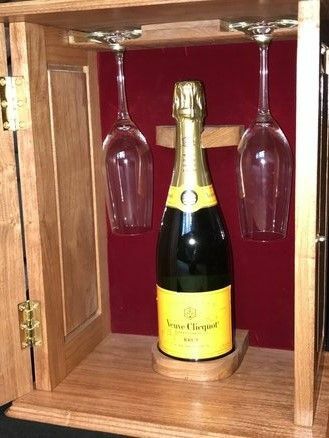 This wedding box is so outstanding and nicely done. It displays a lot of nice details and craftsmanship. Thank you for your kind words. Just wish photos didn’t post sideways. Very nice project-thanks for sharing. I took the liberty of downloading your pics and rotating them so you repost them.